Our Turn Here we go! Are you looking to sing in a choir? We are friendly, local, non-auditioned mixed voice choir, rehearsing weekly in term time in Brentwood Essex. We aim to present the traditional choral repertoire whilst embracing new works and ideas. Our concerts are a mix of the choral greats and light classical music. Ours is a group that makes all newcomers welcome and involves them in our activities. Being able to read music is an advantage but it is possible with some practice, to pick up the basics as we proceed. What we do ask is that our members share our enthusiasm for singing, attend as many rehearsals as possible and do some preparation between meetings. 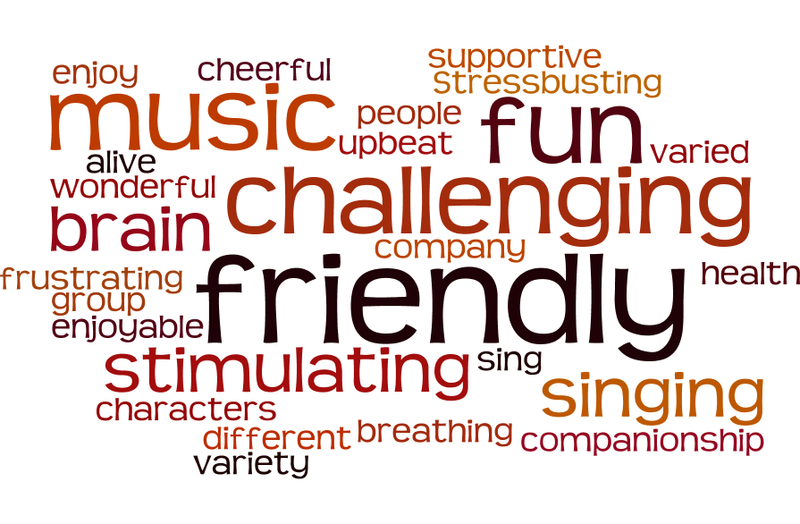 Our aim is to encourage people to sing and hope that they will learn to enjoy singing as much as we do. We meet in Brentwood School’s music room, which has good access and parking.